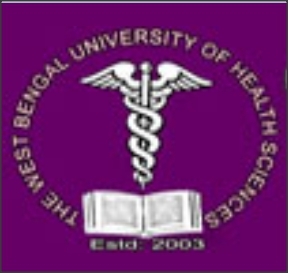 Admission to the seats in the affiliated institutions of The West Bengal University of Health Sciences in different Post Graduate Homoeopathy Courses shall be made on the basis of the inter se merit lists of different categories / castes of candidates appearing in the West Bengal Post Graduate Homoeopathy Admission Test Examination (WBPGHAT) to be conducted by the West Bengal University of Health Sciences ( WBUHS). Eligibility : Candidates who have passed B.H.M.S. degree, Graded B.H.M.S. degree from any recognized University from anywhere in India The candidates who have completed their rotating internship for one year after passing the B.H.M.S examination on or before 30.06.2013 are eligible to apply. Application for admission to MD (Homoeopathy) Courses will not be accepted unless the candidates have got themselves registered (Provisional or Permanent) with any State Council of Homoeopathy or Central Council of Homoeopathy. Candidates who are already pursuing any other course are not eligible for admission. Candidates who have already been conferred MD (Homoeopathy) in one discipline/course is considered eligible for the Courses.